Hi! I'm a Toronto-based writer and narrative designer looking for new opportunities in gaming and interactive media. I went to Ryerson for film, where my focus was screenwriting and editing. Tabletop roleplaying sparked my initial interest in making games; by hacking and writing my own modules for Dungeons & Dragons, I saw how mechanics influenced play and encouraged different kinds of experiences. 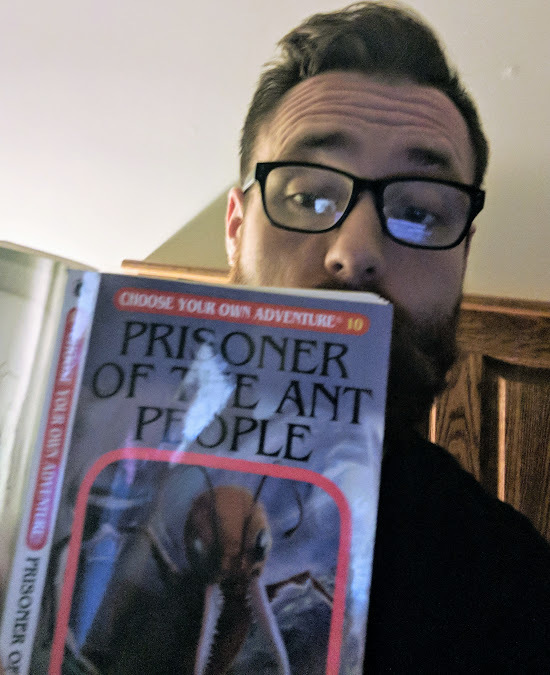 Soon I began exploring ways to replicate the feeling I got from tabletop within interactive fiction and video games – for those times when I couldn't get a bunch of friends around a table. “Prey” and “Fallout: New Vegas” are my “north stars” of narrative game design for the way they balance emergent player experience and authored narrative in giant, reactive open worlds where you can do almost anything. In the mobile space, “80 Days” is my ideal game because of the way it combines a beautiful prose, interesting choices, and sleek, simple UX design. I'm passionate about narrative, have tons of experience working as part of interdisciplinary teams, and I write fast. Hire me! Interested in reading the full scripts sampled here? Have any queries? Want to see a more comprehensive resume? Wish to pay me money in exchange for writing services? Kindly fill out the form on the Contact page or shoot me an email at joshmlabelle@cogsandspanners.com. (Cogs [kogs, kawgs] -- the bits that chug along and keep an engine functioning how it's supposed to.